Save the date for a fun filled night at LaCaille Restaurant. 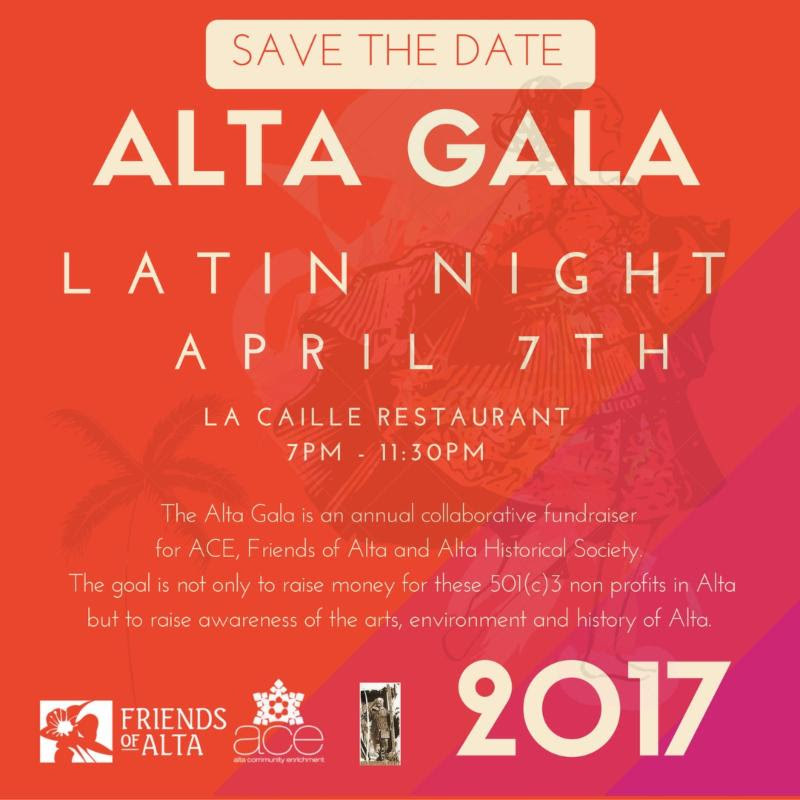 Music by Rumba Libre, a live Salsa & Latin Band, Latin inspired food, drinks and a silent online auction. in preparation for the Alta Gala dance floor. All classes are free, start at 5:30pm and located at Our Lady of the Snows.